Colleen is a seasoned securitization and structured finance attorney with significant market know-how in terms of both working capital financing and capital markets transactions. Colleen works with banks, marketplace lenders and alternative capital providers, fintech companies, sellers and investors to structure debt transactions utilizing cash-flow generating assets in all stages of development. 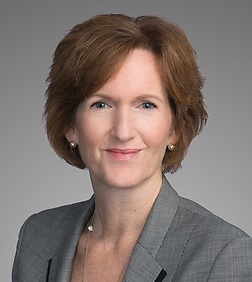 Colleen, and her colleagues in Sheppard Mullin’s Financial Services Group, help clients’ navigate the U.S. regulatory structure particularly as it relates to lending products. Colleen advises financial companies in developing receivable products as well as advising on the appropriate organizational structures to own the assets with a view to optimizing access to earlier-stage financing, such as warehouse lines, and eventually accessing the capital markets through securitization. Colleen specializes in sales, purchases and financing of pools of residential mortgage loans, as well as a variety of other types of loan pools and receivables such as consumer loans, leases and servicing rights. In the securitization area, Colleen has represented both underwriters and issuers in a number of asset-backed securitizations involving autos, credit cards, equipment and tax liens, as well as asset-backed commercial paper programs, and medium-term note programs. Represent mortgage loan originators with sales of pools of mortgage loans for newly originated private and agency insured mortgage loans. Represent sellers of mortgage servicing rights in concurrent and post-disposition servicing transfers of agency and non-agency owned mortgage loans. Represent lenders financing acquisition of pools of distressed residential mortgage loans. Represent sellers and interim servicers with mortgage servicing rights portfolio sales. Represent major financial institution as seller and servicer in Mortgage Loan Purchase and Servicing Agreements on servicing retained and servicing released sales. Represent mortgage loan originators in warehouse funding arrangements. Represent secured creditors in sales of loan collateral including Article 9 dispositions under the UCC. Represent issuers and underwriters in securitizations of motor vehicle leases and loans. Represent issuers in motor vehicle lease titling trust transactions. Represent U.S. Investors in Canadian auto and equipment backed notes. Represent investment bank in financing acquisition of portfolios of charged-off receivables. Represent credit card bank in multiple issuances of asset backed notes secured by credit card receivables (both term and variable facilities). Represent private equity investors and hedge funds in the acquisition of distressed loans, student loan residuals and mortgage pools. Represent lenders in a variety of trade receivables financings.